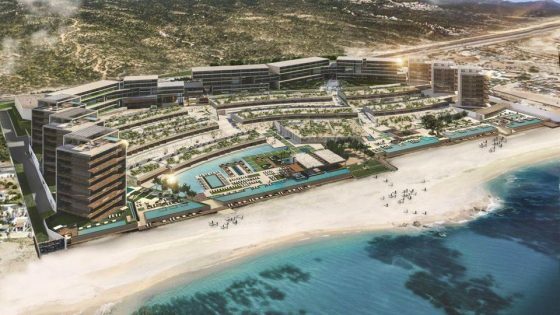 With the arrival of a Hard Rock Hotel slated to open in 2020 and Zaha Hadid Architects winning planning permission to build the 31-storey Murcury House, Malta in the Mediterranean is fast becoming a hotel design hub. 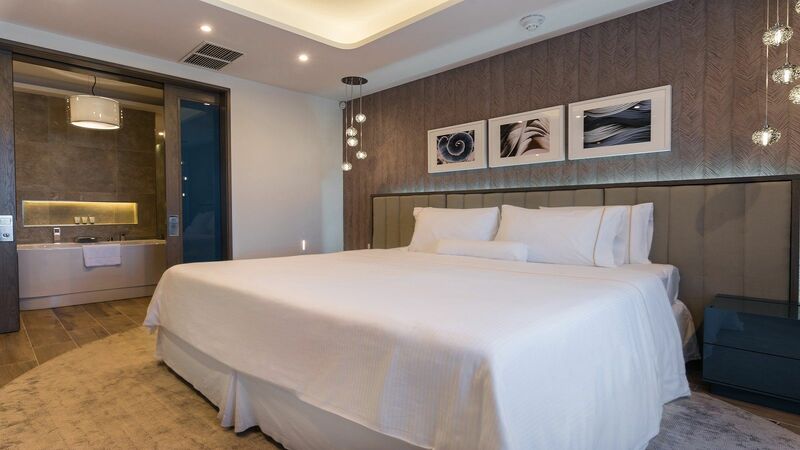 Ahead of these grand plans becoming a reality, the most recent hotel renovation is that of the suites of a hotel that first opened its doors in the late ’90s. 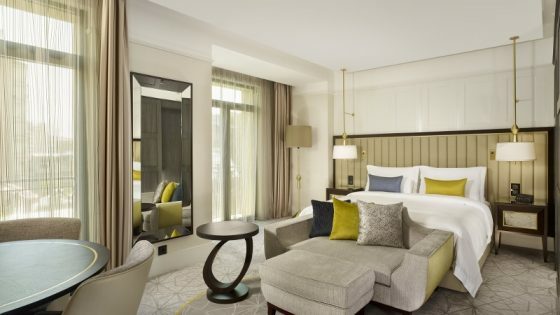 Conceptualised by London-based interior designer, Lynne Hunt, the 29 Luxury Bay Suites offer a light and airy design that promotes relaxation, renewal and spectacular views. Taking inspiration from the extraordinary location and the hotel’s passion for wellbeing, all design details champion the natural surroundings, featuring soft hues of Maltese limestone and the turquoise tones of the Mediterranean Sea. 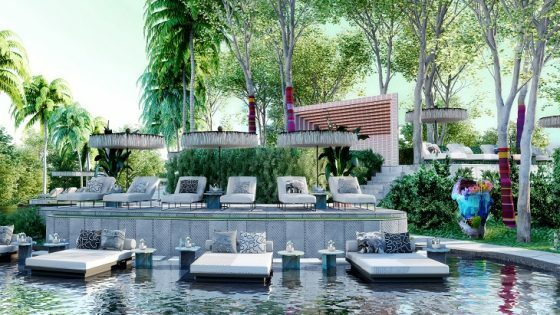 Working with Westin and Marriott, Huny embraced the design ethos of a Westin resort with a biophilia approach to its interiors and design reference. “Our inspiration is the limestone rock of Malta along with the beautiful surrounding Mediterranean Sea,” Hunt explained. The centrepiece of the Master Bedroom is the award-winning Westin Heavenly® Bed, tilted at an angle to face the window. Guests are invited to relax under the soft mood lighting and recharge with the soundtrack of the soothing ocean that drifts from the connecting terrace. Overlooking the bedroom and sea beyond is the spacious and elegant ensuite, built with a free-standing bath and walk-in rainfall shower. As well as featuring an open-plan ensuite bathroom, an additional guest bathroom features in the suite, complete with a range of premium White Tea Heavenly Bath toiletries. The open plan living and dining space comes complete with a functional double sofa bed, seating area and kitchenette. Floor-to-ceiling glass doors lead out onto a private and secluded terrace, perfect for al fresco socialising and relaxing. Three of the suites offer two bedrooms, accommodating larger families or accompanying guests. First opened in 1997, The Westin Dragonara Resort has been at the forefront of Maltese hospitality. 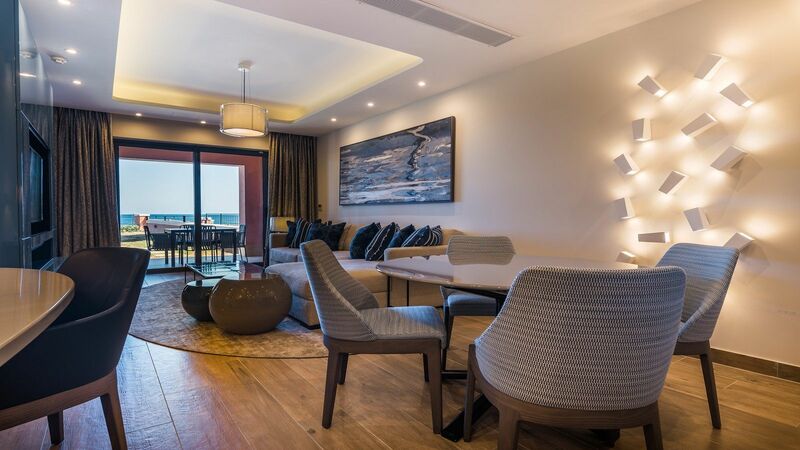 Its latest renovation to the 29 suites reference Maltese culture in a soft, sublte and approprate way, mainly through clever colour schemes and Mediterranean-inspired art.